Perth's Forrestfield-Airport rail link charges on and the Western Australian government has unveiled concept images which relate to a major upgrade to Bayswater station, the point where the new rail line will join the main Midland line in Perth's eastern suburbs. Already a grade-separated road/rail crossing, the new station would see track raised, a new station built and the shallow road trench which currently runs underneath the railway line will be restored to its natural grade. Community engagement began in March 2018 with almost 1000 people completing online surveys and 300 people used the 'drop-in' centre to provide feedback on the concept. According to the WA Public Transport Authority, the concept balances the community's feedback by providing new open space around the station precinct, creates a station structure and design that integrates with the Bayswater town centre, improves road traffic conditions and potentially will allow a second road underpass to be built. The concept will be taken to marketing in early 2019 with a view to start construction in late 2019. See metronet.wa.gov.au for more information. 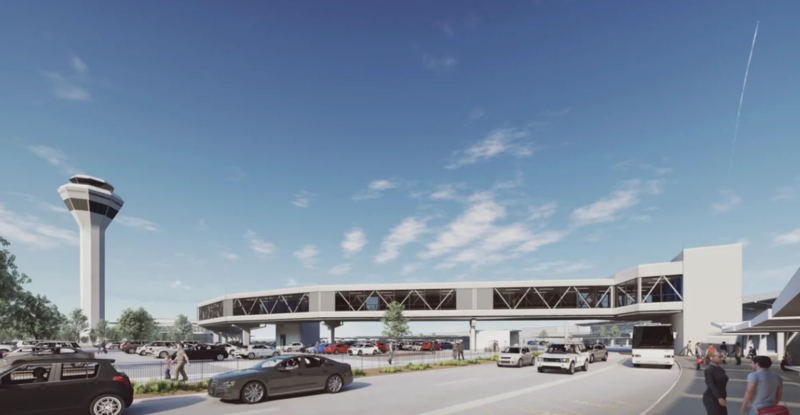 Late in November, Metronet released renders of the pedestrian structure that will link the Airport Central station with Terminals 1 and 2 at Perth Airport. The elevated and enclosed walkway will be 280 metres long and will include travelators and lifts will be present at both ends of the walkway. The development of Airport Central Station and its link to the terminals via the Skybridge will provide a seamless passenger experience to our terminals, and will link the central airport precinct with the new rail line. The Skybridge will connect the station with current and future terminal infrastructure, and we will be looking at opportunities to create a 'sense of place' in the walkway which will offer visitors a great welcome to Western Australia. The Tunnel Boring Machines that are constructing the tunnels have since cleared the main runway at Perth Airport according to Metronet. To see an animation of the new Airport Central walkway, see perthairport.com.au.